While travelling you are covered with free Business Travel Insurance package which includes Medical assistance and expenses cover up to EUR 120,000, as well as dental treatment assistance. “My Card Account” offers Corporate Cardmembers easy, fast and safe on-line access to electronic statements for the last six months and unbilled data (transactions after last billing). If your Card is lost, stolen or misused, it should be blocked as soon as possible. Please call Customer Service on: +36 1 777 9 777. The Card will be blocked immediately. American Express® offers free 24/7 Card replacement whenever possible. Please note that the liability of the Cardmember is limited to only HUF 15,000 until the Card is cancelled. Cardmembers may withdraw cash from 1,200,000 ATMs all over the world in any place bearing the American Express® logo. American Express® Customer Service Team is ready to answer your queries. Please call us on: +36 1 777 9 777. 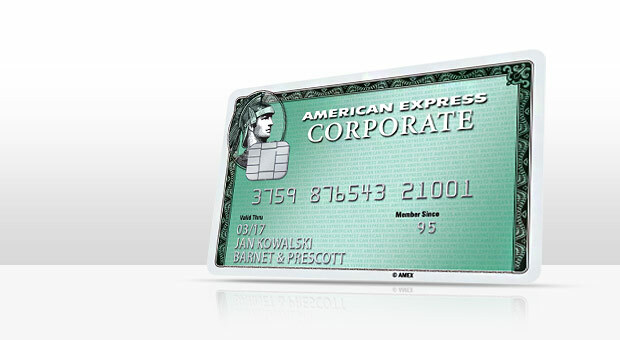 For detailed information please refer to the guide that describes key features of the American Express Corporate Card.